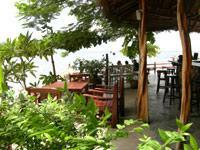 Welcome to Coral View Resort, Koh Tao, Surat Thani, Thailand. 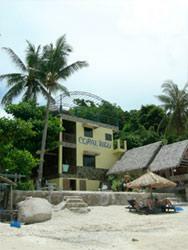 Coral View Resort is located on Haad Sai Daeng, an idyllic golden sand beach on the south coast of Koh Tao, Surat Thani. There are only two Resorts that share the beach which is just a stones throw away from the infamous Shark Island, regarded as Koh Tao's best dive site and amongst the finest in the Gulf of Thailand. The Thai-American families who manage the Resort are so hospitable that it has been listed in the both English and French guide books whilst the beautiful cove of Haad Sai Daeng provides the perfect picture of paradise. 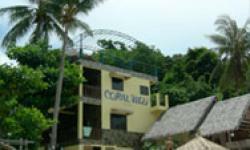 Whether you want to spend your days exploring the amazing underwater world on your doorstep or relaxing on a secluded beach, Coral View Resort fulfils all your desert island dreams. All of the rooms are well-maintained and set amongst lush tropical gardens that have gracefully matured over the ten years that the Resort has been open. There are three designs to choose from at various rates to suit every traveler's budget; ranging from luxury beachfront suites to Mediterranean styled bungalows and island huts for the authentic Koh Tao feel. 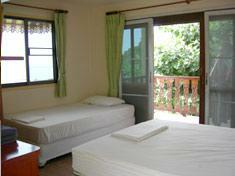 All of the rooms have en suite bathrooms and are fully fitted and furnished for your comfort. 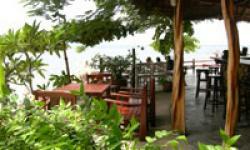 The Resort is well planned with plenty of space in between the bungalows to ensure total privacy. All of the rooms look out over the bay with spacious balconies and stunning sea views.